To all you moms who still find time to curl your hair AND find something trendy to wear, I'm sending you all the clap emojis. I'm impressed, and I don't know how you do it. Last weekend, we had our nephew's baby dedication and a family lunch afterwards, and I literally straightened half my hair before I ran out of time and we had to leave. (Messy bun + big earrings were my solution.) I DID happen to find a nursing-friendly dress at a thrift store...and while it wasn't super spring-y, it was my favorite color (mustard/yellowish) with buttons down the front, making it easy to nurse in! If you're still looking for a spring/Easter dress last minute, check out these favorites that I've rounded up from the interwebs. 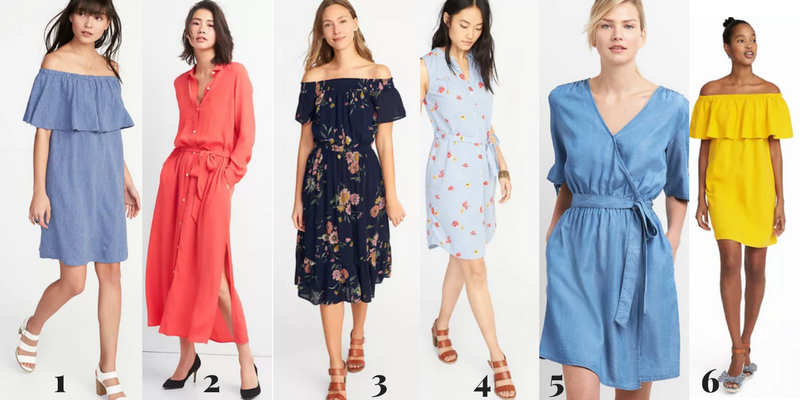 All of these are links to dresses online, but all of the dresses are sold in stores so see if your Old Navy/Gap has them in stock so you don't have to waste time waiting for shipping! And if none of these look good to you, I've included some things to look for when you shop for a nursing-friendly dress. Forget the dress idea and just go with a skirt + top. 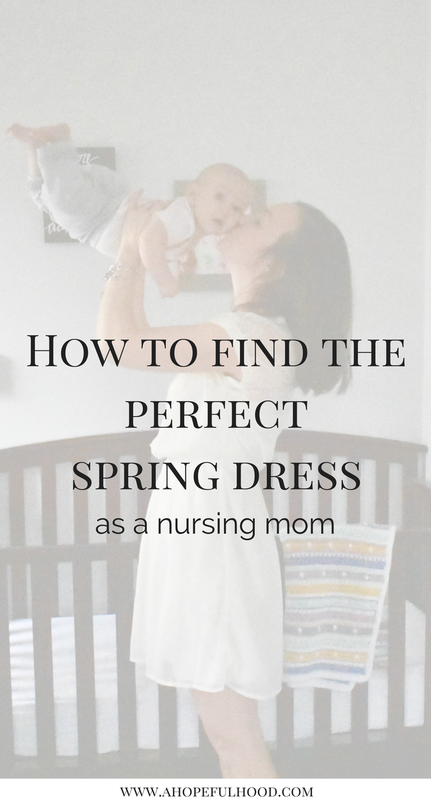 Find the maternity section and see if any of their dresses are nursing-friendly. Do you have a favorite spring dress? What are some of your favorite things to wear in spring?